I've been loving them for the most part. I wrote my Christmas novella for All I Want, and I've never written story that short before. I actually had to outline (what? outline? I may be converted, btw), remove the side plots I was dying to put in, and make sure everything pointed in the direction I wanted the story to go. In fact, I think I'm going to do a lot of this in my next wip and see if I can lessen how many drafts I have to write to get a clean manuscript. ANYWAY... here are a few novellas I've read this month that I thought did a great job of telling an entire story with shorter word count. This was just a fun, feel-good story. 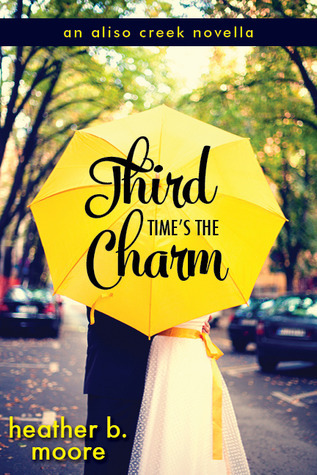 I really wasn't left wanting more, which can sometimes happen in a novella. I just read Moore for the first time in the Winter Anthology she did with a bunch of other (awesome) authors, and I really like her writing style. 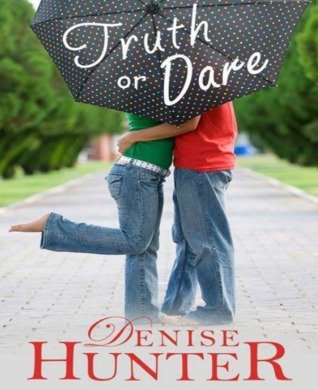 Denise Hunter's Truth or Dare. Okay, I came into this one a bit biased. I love Denise Hunter. She lured me in with Surrender Bay and then hooked me with The Convenient Groom. After reading Third Times the Charm, I decided to search out other novellas and found Hunter's. Since I love everything she's written, I went ahead and bought it, and spent the next night reading it. Again, it took me about an hour, which is PERFECT since that's usually about how long I read before bed. A foolish stunt in high school left Brianna VanAllen questioning her self worth for the past five years. She didn't expect to dig up those painful memories when she returned home for her high school reunion. But, paired with Jake Volez on a project at her parents' ranch, Brianna must face the issue of forgiveness. Will she have the courage to put her heart at risk again? What are you thoughts on novellas? Any good ones to recommend? I haven't read a short story in forever! I should totally check these out. I just read a Novella last night and it really left me wanting more of the characters. But I think that was the point. It was a mash up of the authors 2 different series and makes you want the next book in the series to come out. These covers are both SUPER cute. And the stories sound found. Sound fun not sound found. Haha. I guess I was in a rhyming mood. Short stories are great. Right now, I'm working on a shorty as a prelude to my next novel.